Finding the best energy supplier in your area doesn’t have to be a difficult task. With the Exchange Utility interactive guide to energy suppliers in your area, it’s never been easier to find out which gas and electricity providers your business has access to. If you’re considering switching energy supplier, give us a call today on 0800 9777 000 to see if you could save money on your energy bills. Which Energy Suppliers Operate in Your Area? How much energy is used in the UK? In the UK alone, we produce over 300 billion kilowatt hours of electricity and over 40 billion m3 of natural gas each year. However, we import a lot more energy than we export, which can drive up the cost of gas and electricity for UK homes and businesses. There are more than 60 energy suppliers operating within the UK energy market to supply both domestic properties and businesses. Most of these providers offer both gas and electricity, but there are a few that only offer one or the other. Learn more about the range of energy suppliers that you can compare Exchange Utility on our supplier page. Do energy prices differ depending on your location? Your location can be a factor that impacts the cost of your energy supply. If an area is more difficult to get to or is a long distance from the nearest supply plant, you may experience service disruptions during bad weather as well as higher costs. What types of energy contract are available in your area? Most areas within the UK will have a range of tariff offerings from a variety of UK energy providers for you to choose from. What is the average cost of energy in the UK? Business gas and electricity prices are always changing, so consumers often prefer to stick to fixed rate tariffs to avoid seeing an unsightly spike in their energy spend. In September 2017, the average wholesale price of energy was 46p for gas and 47.17p for electricity, making gas the cheapest fuel out of the two. The lowest prices that we saw in 2017 were in June when the wholesale cost fell to 39.68p for electricity and 34.84p for gas. Want to know more about what affects the cost of wholesale energy? Click here. What to do if you have moved premises or expanded to a new location? Moving premises or expanding is stressful enough as it is without the added consideration of business energy bills. Planning for this in advance can save you a great deal of bother and potential problems for your business. The better prepared you are, the easier it will be. Who regulates energy suppliers in your area? Ofgem is the regulator for energy supply throughout the UK. They conduct research and reports as well as handle large-scale complaints regarding supplier activities. Ofgem operates through the European energy regulator associations ACER (Agency for the Cooperation of European Regulators) and CEER (Council of the European Energy Regulators). You can contact Ofgem via their website to find out information, make complaints or report ongoing issues. Where is my current energy supplier located? 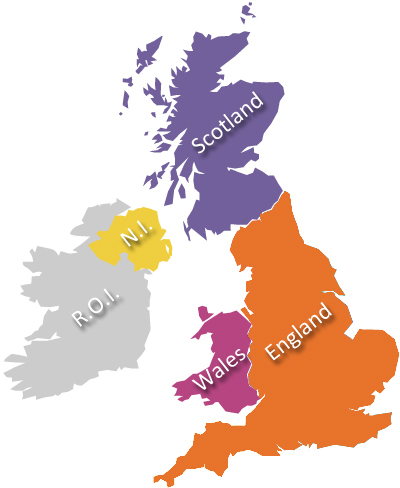 UK energy suppliers often have several premises spread across the country to enable them to offer their services to a range of locations. Ready to find out if you could save money by switching your energy supplier? It’s quick and easy, just give us a call today on 0800 9777 000 to find out more.